When conscious people realize that the number of gorillas in the wild is decreasing continuously, they understand the serious problem they have. Today, eastern gorillas are endangered, and western gorillas are critically endangered. Therefore, both species are in danger, so there is no time to lose and if the implemented strategies to reverse the tendency do not work, the planet could be missing the gorillas soon, and they would become one more species in the long list of extinct animals. The positive part is that it is still possible to make gorilla population increase. For this, it is necessary to attack the greatest threats to gorillas: poaching, loss, and degradation of habitat, infectious diseases and the incidence of armed conflicts in the areas where they live. A set of complicated issues. Eight African countries restrict hunting and capture of gorillas. Certainly, it is not easy! Despite the measures implemented for their conservation, gorillas are still classified as endangered animals, and their populations continue to decrease. However, the strategies that many governmental and independent organizations, institutions, environmental groups, etc., have been created are worth knowing. A) protect them from danger. B) maintain and increase their current populations. C) guarantee their future presence on the planet. Local laws protect gorillas in the areas where they live. Eight African countries prohibit the hunting and capture of gorillas, and there are international treaties that protect them in all habitats where they are. The CITES (Convention on International Trade in Endangered Species of Wild Fauna and Flora), an international treaty, includes gorillas in its Appendix I, where all endangered species are, and there is a prohibition on their trade, except in exceptional cases. Many organizations focused on the conservation of gorillas realize multiple actions and awareness activities. The World Wide Fund for Nature (WWF), for example, keeps a continuous population monitoring to know if they are decreasing, increasing, or disappearing. This action is imperative because it provides a constant overview of the status of a given population, which helps to speed the decision-making process in case something has to be modified to support them. If the experts find that an unusual amount fo gorillas have died in a particular area, they discover the cause and try to stop it. Habitat preservation is an essential element for their conservation. Furthermore, habitat protection is a fundamental component for their safekeeping. Loss, fragmentation, and reduction of their habitat prevent gorillas to find food and shelter and thus make them easy targets for poachers. Some governments and organizations teach African inhabitants some models of sustainable agriculture, farming and other economic activities, to avoid excessive logging and soil erosion. The Sustainable Forest Management is one of such organizations. It provides an economic incentive to use forest resources responsibly, trying to restore the stuff taken from nature. Similarly, ecotourism, managed correctly, can generate income for local people while working as an education strategy. In this sense, education is essential. Educating people (not only in Africa! 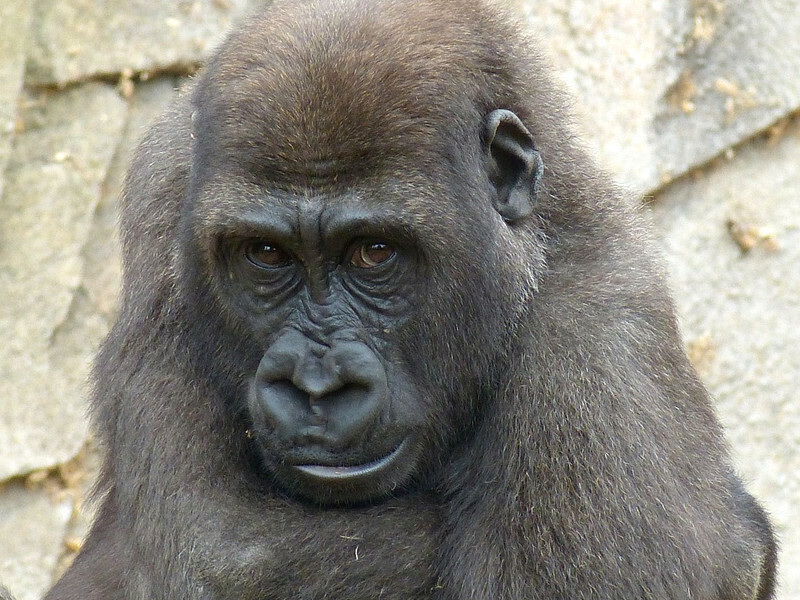 ), about the importance of gorilla conservation, and their unique characteristics can have dramatic effects on the number of these primates on the Earth. Awareness campaigns for specific actions that address the problem are the best way to achieve this. Knowledge can help people to understand what problems endanger gorillas, and how to avoid them. Restore gorilla populations is not an easy task, but the cooperation from everybody is essential to achieve this. It can take time, but we have to do it, or we will lose gorillas forever.